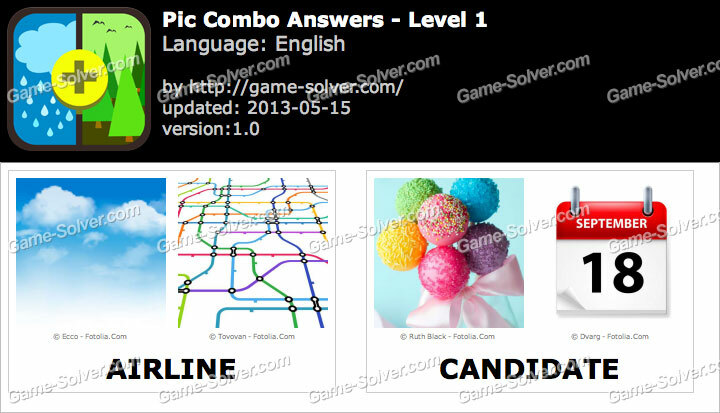 Now you can view all the answers from level 1-12 from the Game Solver. You can view all the answers from Game-Solver.com. All answers has been checked correctly by our team. Wish you can enjoy and beat all the answers in the game. The Pic Combo Cheats Solver is under developing in Words-Solver.com, it will be launch within this week, please be patient. The Pic Combo App is from the creators of the 1st app from Icomania and 4 Pics 1 Words. So, this is one of the best game that they made. You have to think the 2 pictures to guess all the answers in the game. You will feel fun of it, if you cannot solve it you can ask your Facebook friends too !